Jana Partners, the activist investing hedge fund run by Barry Rosenstein, is pushing Apple (NASDAQ: AAPL) to protect the kids. The idea is protecting kids from the attractiveness of smartphones and technology. Jana has teamed up with CalSTRS to convince Apple of the need to address the damage it’s doing to kids. Here’s the letter that Jana and CalSTRS sent to Apple. The fund wants the company to address more choices and options for customers, in order to boost the long-term value for shareholders and to protect the future generation of leaders. 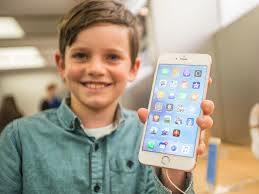 The smartphones and laptops that Apple makes is making kids ‘dumb,’ to put it so bluntly. Per Jana, teachers in Alberta, Canada, has found that “about two in three believed that digital technology was increasingly distracting their students.” There’s a link to the the rise of digital technology and mental health problems in teenagers. Jana doesn’t want to ban iPhones from children, but the goal is to educate parents on how to use the technology and limit it. The push is to get Apple to put together a committee to do research and ways to boost parental controls on its products. There’s no question that nearly everyone believes kids are spending too much time on technology.